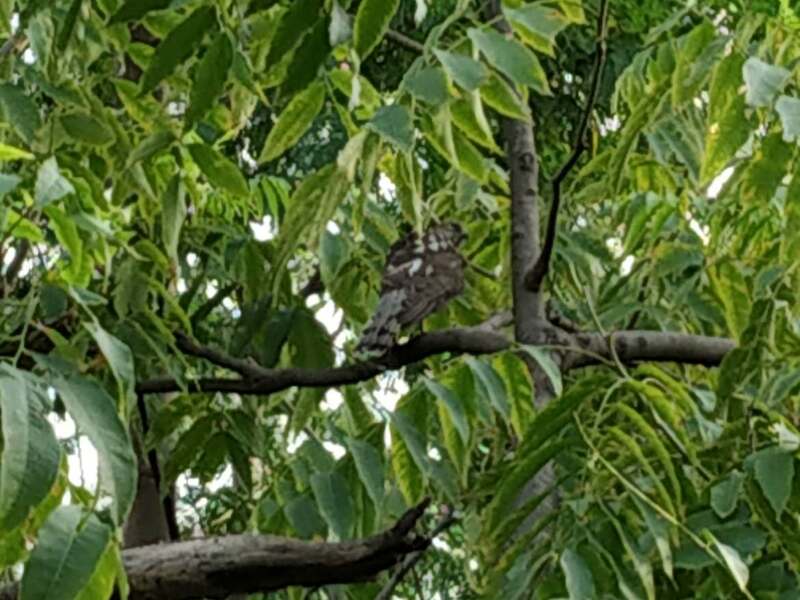 Wildlife Rescue is a Delhi-based NGO that has been treating and rehabilitating injured birds, especially birds of prey, for over a decade and a half. 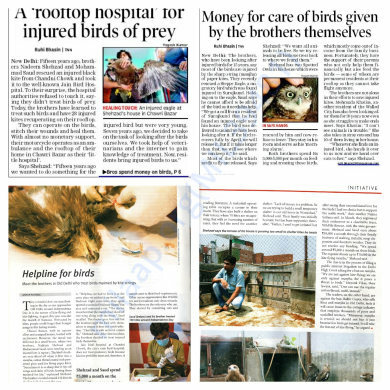 Spearheaded by two brothers from Old Delhi, Nadeem Shehzad and Muhammad Saud, Wildlife Rescue runs a bird shelter in Wazirabad, North Delhi. 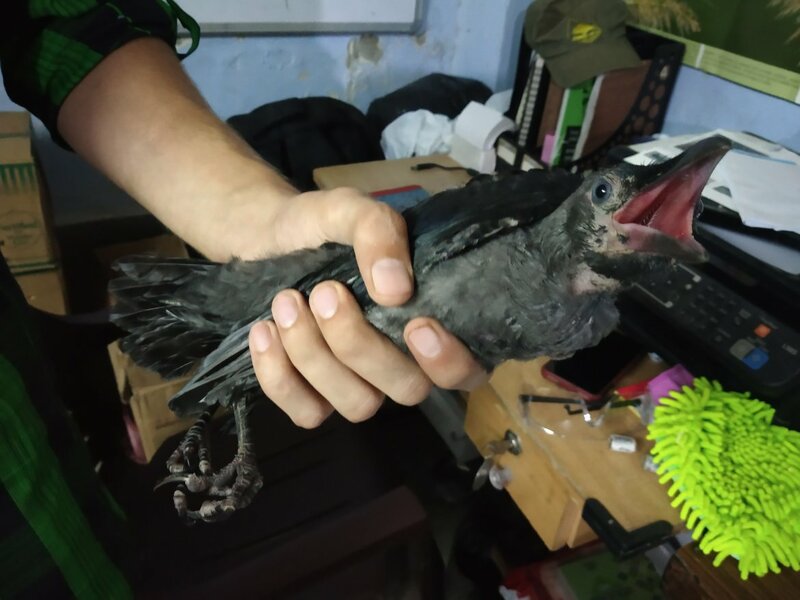 The organisation has a veterinarian and two bird care taker staff, and they treat injured birds and rehabilitate them back into the wild! 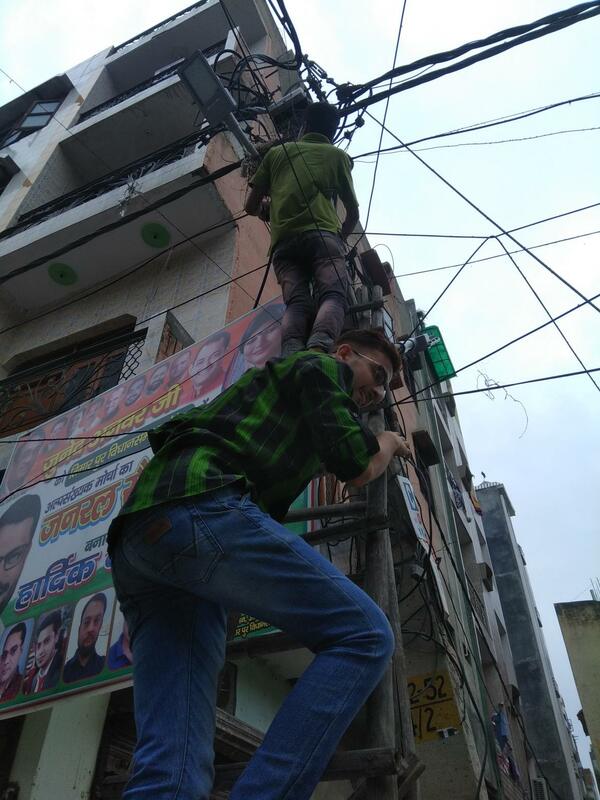 Every year, thousands of Delhiwallahs take to flying paper kites in the run-up to Independence day! This tradition of patang bazi uses manjha thread, which is a thread crusted with crushed glass, acts like hanging swords that maim these birds in flight. 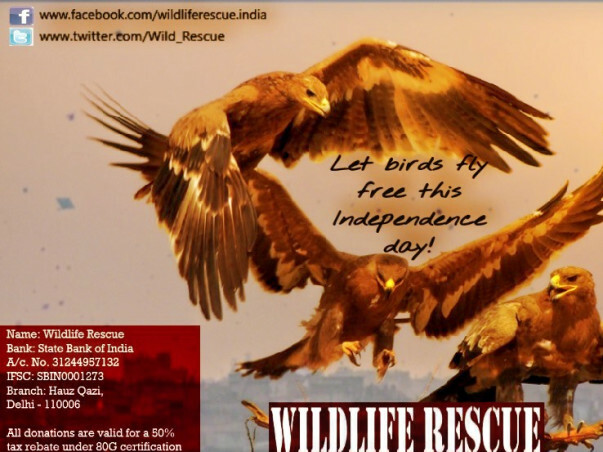 In Delhi the kite flying is not limited to the Independence Day, but goes round the year. Wildlife Rescue receives birds which are in need of surgeries through out the year. 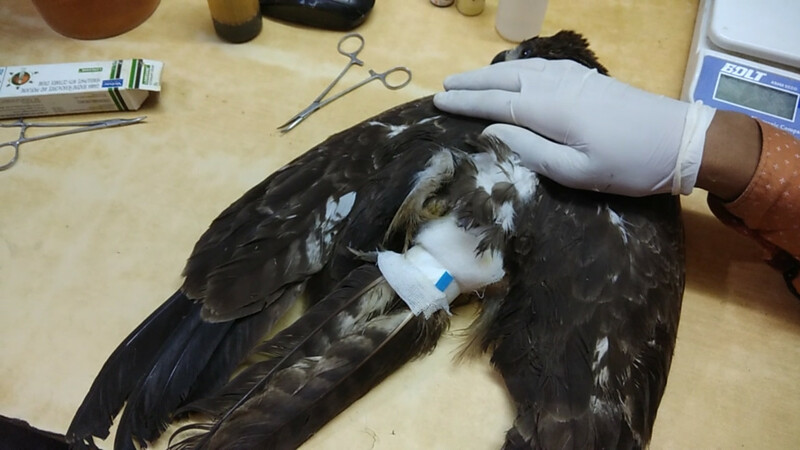 When the wing of the bird gets severed by the razor sharp thread of the kite, the wound does not only needs to be healed but also needs a reconstruction of the all muscles, tendons and skin effected. 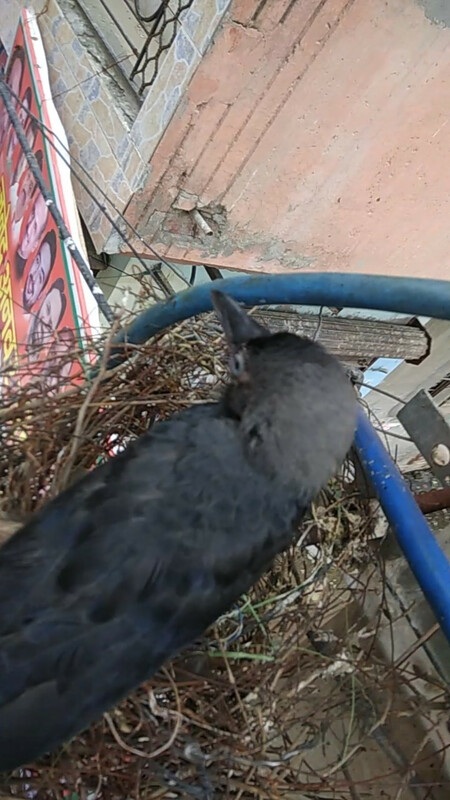 A properly reconstructed wing results in near perfect flight which is a need for a bird to survive in the wild. 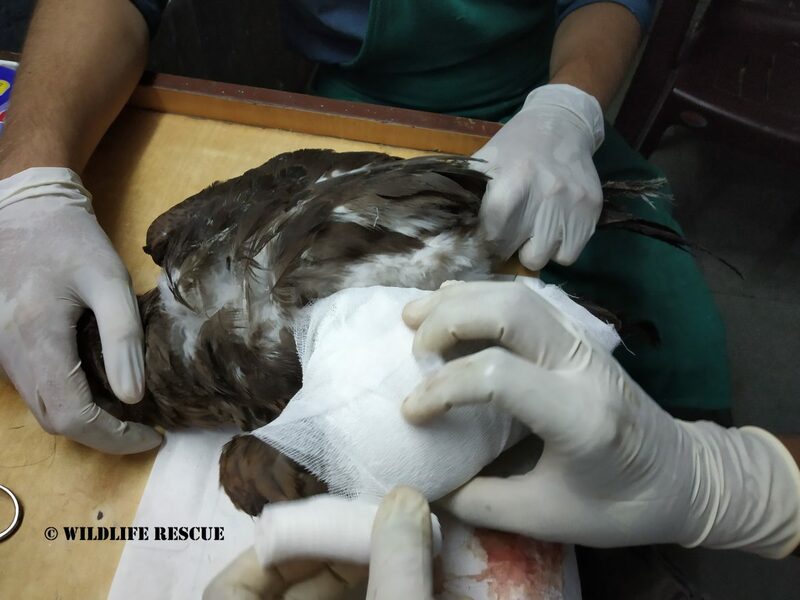 Wildlife Rescue has specialization in surgically repairing the cut wounds in the wings. The repair technique is the one of the most advanced in the world and was presented at the NWRA Symposium 2018 in Los Angeles, California, USA. 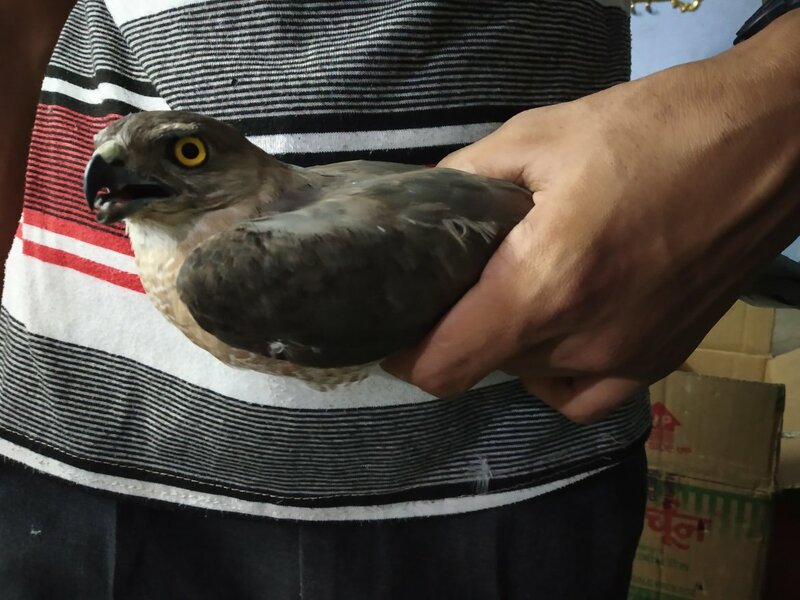 In order to help these hapless birds, Wildlife Rescue tirelessly carries out collection of birds of prey from various bird and veterinary hospitals in Delhi. 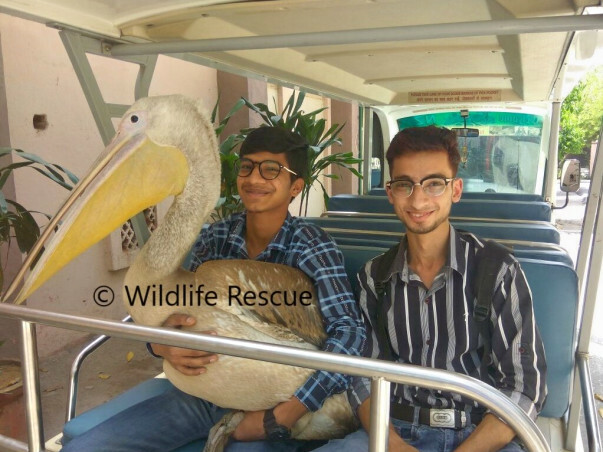 For several years, Wildlife Rescue has been running on the personal funds of Nadeem and Saud, and intermittent donations from friends and their known ones. 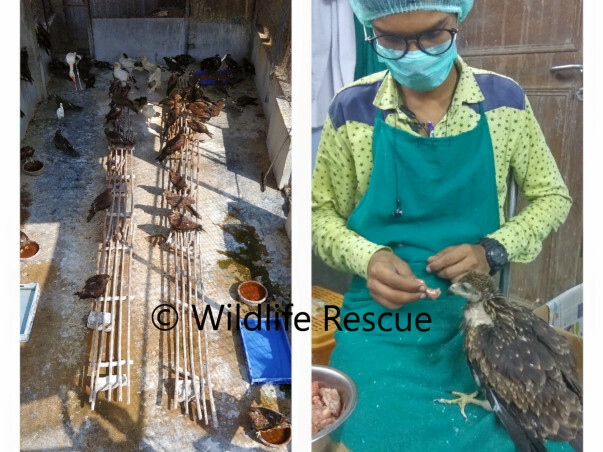 However, as the number of birds have crossed over 2200 per year (most of them raptors), since 2010, Wildlife Rescue has attended more than 14,000 birds. 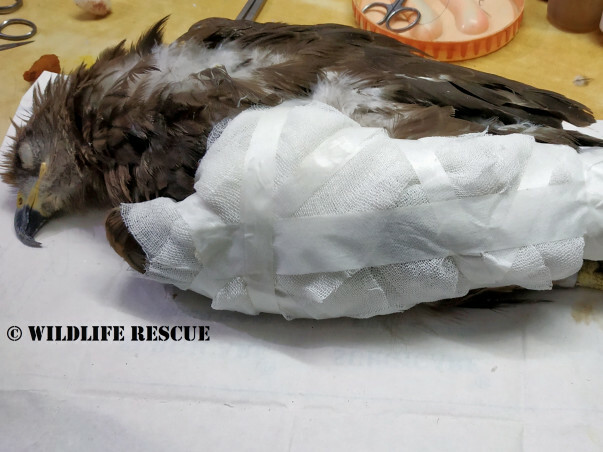 Wildlife Rescue cannot sustain itself without adequate finances. 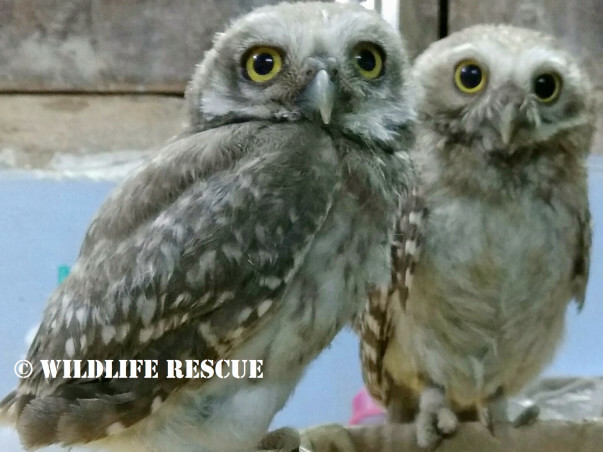 Please donate to Wildlife Rescue to help ensure that we continue to rescue, treat and rehabilitate birds and let them soar free! 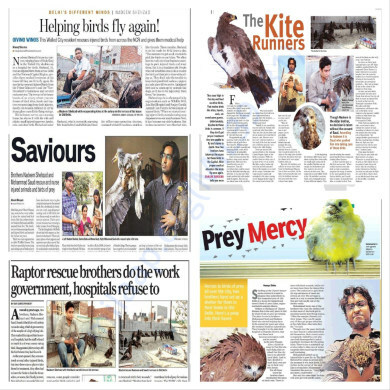 Wildlife Rescue's consistent work for bird welfare in the news! 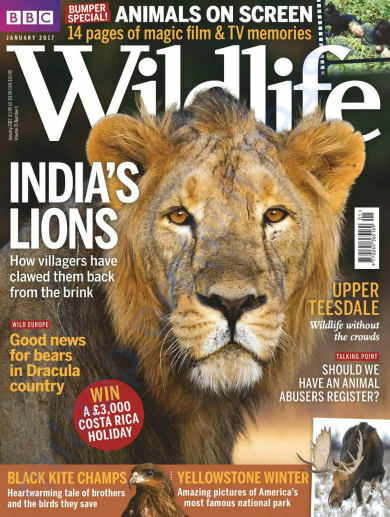 Our Work Covered in BBC Wildlife Magzine and is on Cover Page! 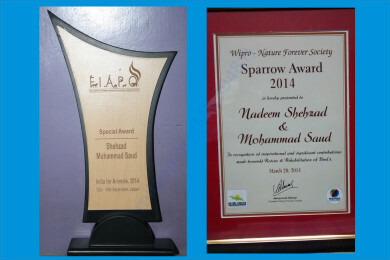 The funds raised will be utilized for paying the salaries of our paid staff working at our facility. 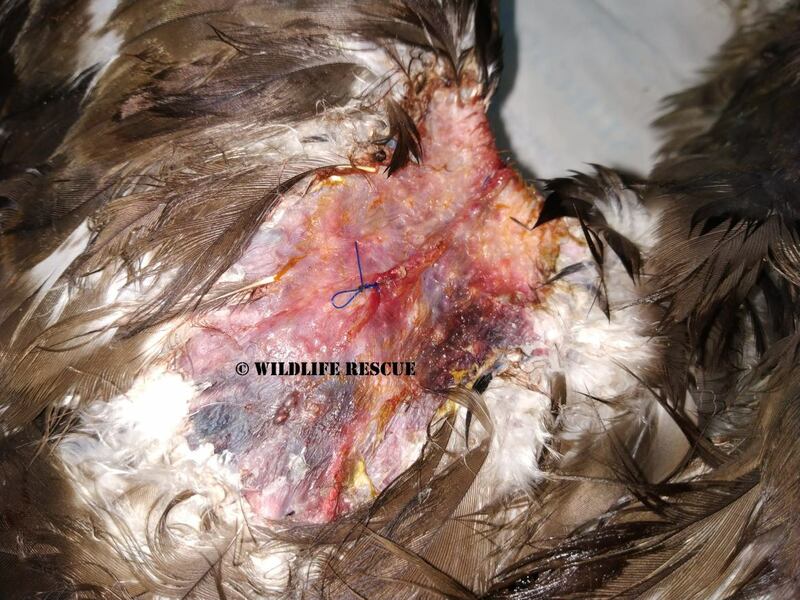 A kite with a maggot infested wound, under maggot wound management procedure at our facility. 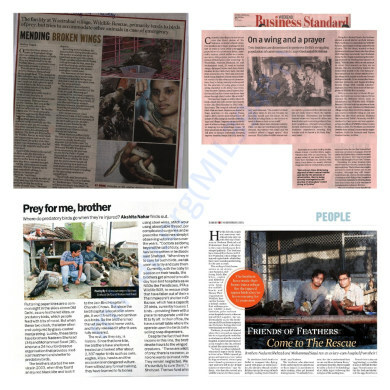 Please like our Facebook page for updates on our work. Kite flying has been increased as 15 August is near and a lot of kite flying materials are available in more and more stores. 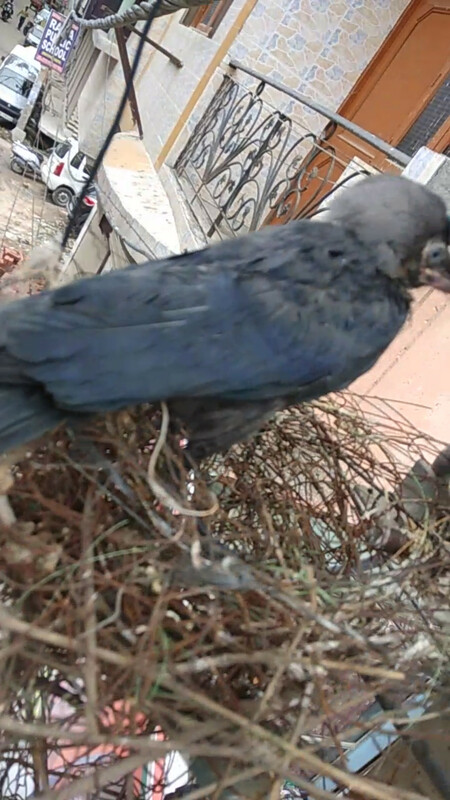 We are getting an increased number of cut wound birds. 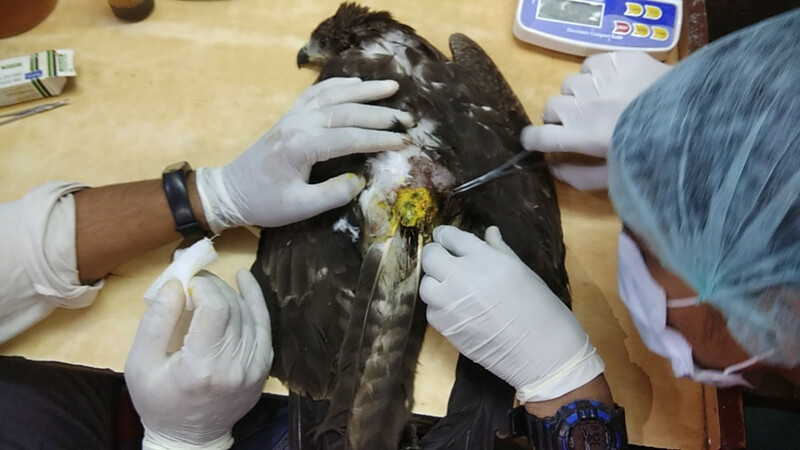 The surgeries are underway at our facility to save the lives of these birds. A proper bandage is what is required for a better recovery. 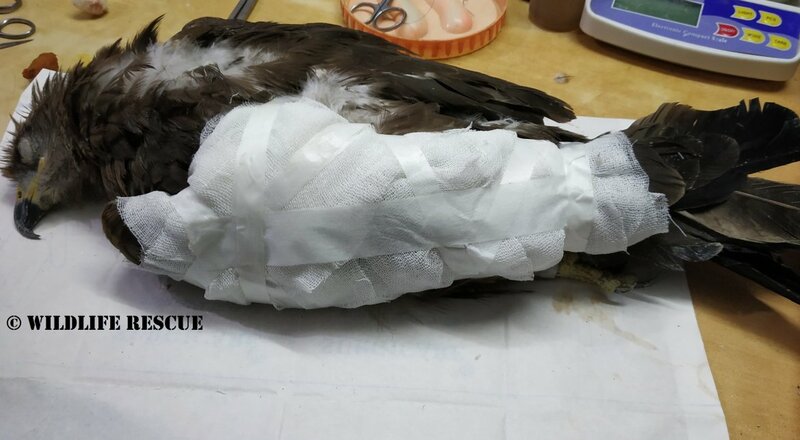 The bird is on its way to recovery and soon it will be on its way back home! 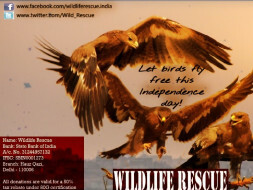 Please support our work by donating to our cause and help these birds fly free this Independence Day!!! 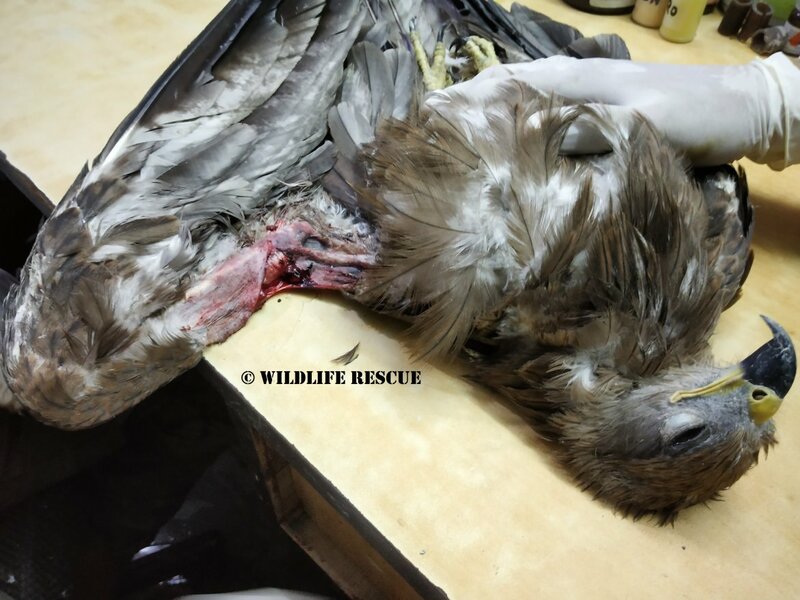 Wildlife Rescue needs funds for running costs as they are not being able to support its running from what donations they are getting. For the running costs for the next 6 months, the time given for the fundraising should be ample. Wonderful work guys! It really moved me. Keep it up!